Every year, the International Week of the Disappeared is commemorated worldwide. This initiative, launched in 1981 by Latin American NGOs, aims at reminding the world public opinion that enforced disappearances continues to be a widespread phenomenon. There could not be a more appropriate time to reflect on the fate and suffering of many dozens of forcibly disappeared people in Turkmenistan’s prison system. These people are serving long-term sentences under different charges. They endure torture and inhumane and cruel conditions in medieval-type prisons. In most cases, their convictions were a result of unfair and politically motivated trials. Their families have had no information or contact about them since their imprisonment, for periods going up to 15 years. The crime of enforced disappearance is not a matter of the past; it continues today. It is an important moment to reflect about the pain this injustice has caused these individuals and their families. But it is not enough to reflect. The human rights campaign “Prove They Are Alive!” reiterates its strong call to the government of Turkmenistan to restore the rights of the forcibly disappeared and their families and to immediately halt the practice of enforced disappearances. The government of Turkmenistan should inform the relatives of the disappeared of their fate and whereabouts and allow them access to their loved ones, lawyers, and international monitors without further delay. The human rights campaign “Prove They Are Alive!” documented 88 cases of enforced disappearance in Turkmenistan and is working to investigate other cases. It is likely that the problem is more prevalent and that up to 150 prisoners are kept in full isolation. Most of these people are former government officials that were sentenced to lengthy prison terms in several massive waves of arrests that took place at the end of the 1990s and early 2000s, with the largest group among them accused of attempting to assassinate the former President of Turkmenistan Saparmurat Niyazov in November 2002. The grave allegations of mass human rights violations following this episode prompted the OSCE to activate the organization’s Moscow Mechanism, whose final report already identified incommunicado detentions as one of the violations a few months after the arrests. Concerns about this practice were raised in several UN General Assembly resolutions on Turkmenistan, as well as in the 2006 report by the UN Secretary General on human rights in Turkmenistan. The most prominent figures among the disappeared include the former speaker of parliament and dean of Turkmenistan’s most prestigious law school, Tagandurdy Khallyev, and the former ambassador to the Organization for Security and Co-operation in Europe, Batyr Berdyev, who received 20 years each in 2003; Serdar Rakhimov, former head of Turkmenistan’s state television, who was sentenced to 25 years; and former Minister of Foreign Affairs Boris Shikhmuradov, who received a 25-year sentence in December 2002 (and was later re-sentenced to life imprisonment by retroactively applying a law adopted in March 2003); Gulgeldy Annaniyazov, a former Turkmen exiled dissident who was sentenced in 2008 to 11 years on charges that were not made public. As in other cases documented by the “Prove They Are Alive!” campaign, families have not been able to meet or find out about their loved ones from the government since their imprisonment – not even whether they are dead or alive. Enforced disappearances are absolutely prohibited under international law and constitute a flagrant and serious violations of rights enshrined under the International Covenant on Civil and Political Rights (ICCPR) and the Convention against Torture, to which Turkmenistan is a party. These include great threats to the right to life; the right to freedom from torture or cruel, inhuman, or degrading treatment; the right to liberty and security; and the right of all detained people to be treated with humanity. The Criminal Code of Turkmenistan does not include any provision for absolute isolation of prisoners. Since the “Prove They Are Alive!” campaign was launched in 2013, several states, intergovernmental organizations and civil society organisations have supported the call to restore fundamental rights to the disappeared and their relatives. Grave concerns and strong recommendations to immediately halt enforced disappearances feature prominently in the Concluding Observations of the United Nations Human Rights Committee (March 2017) and Committee against Torture (December 2016): the Human Rights Committee stressed that enforced disappearances violate multiple provisions of the ICCPR, while the Committee against Torture held that they also violate the Convention against Torture. In October 2014, having reviewed an individual complaint, the UN Human Rights Committee ruled that former Minister of Foreign Affairs Boris Shikhmuradov is a victim of enforced disappearance and that Turkmenistan must provide an effective remedy. In 2015, the European Parliament postponed ratification of a Partnership and Cooperation Agreement between the EU and Turkmenistan based on human rights concerns, including the enforced disappearances. The OSCE Parliamentary Assembly included the disappeared in its Baku Declaration of June 2014, and the issue has been repeatedly raised in the OSCE Permanent Council by the USA, Switzerland, Norway, Canada and the EU Member States. In September 2015, the Turkmen authorities publicly acknowledged the existence of a problem concerning “people sentenced to long prison terms” in their statement at the OSCE Human Dimension Implementation Meeting in Warsaw. At the following HDIM in September 2016, the Turkmen representative claimed that the authorities had released some of the people from the “Prove They Are Alive!” list and had informed international organisations about some others. However, this information has not been made public and cannot be verified by independent observers such as the International Committee of the Red Cross, which has no access to the country. At the same time, several media as well as relatives of the people concerned reported that four people on the “Prove!” list died in prison between December 2015 and January 2017. While time goes by, the fate of the other disappeared remains unknown, as well as whether the Turkmen authorities provided any information or allowed access and contacts with their families. The “Prove They Are Alive!” campaign stresses that providing information to international organisations is not the solution to the problem of enforced disappearances. The solution is to ensure prisoners’ access to their families and lawyers and to provide them with the opportunity to communicate with the outside world. Therefore, we demand that Turkmenistan provides proof of the statement made at the HDIM by allowing full and regular access to all prisoners by their families, lawyers, and representatives of appropriate independent bodies, including the International Committee of the Red Cross and relevant United Nations experts, according to international standards and Turkmen criminal justice legislation. We demand that Turkmenistan ceases at once the practice of prolonged full isolation of prisoners. We urge the international community and intergovernmental organisations, particularly the UN, the OSCE, and the EU, to make the ending of enforced disappearances in Turkmenistan’s prisons a key condition for development of cooperation with the Turkmen government. We firmly demand that Turkmenistan adhere to relevant international and national legal norms as well as its obligations within the framework of these organisations. The international human rights campaign “Prove They Are Alive!” has been working since 2013 to protect the rights of detainees serving long-term sentences in Turkmen prisons, who since their sentence have been held incommunicado, and to halt the practice of enforced disappearances in Turkmenistan´s prisons. The campaign acts with the support of the international Civic Solidarity Platform and actively interacts with a broad range of human rights defenders, experts, and inter-governmental organisations, including the United Nations, the Organisation for Security and Cooperation in Europe, and the European Union. To contact the campaign, please write to provetheyarealive@nullgmail.com. 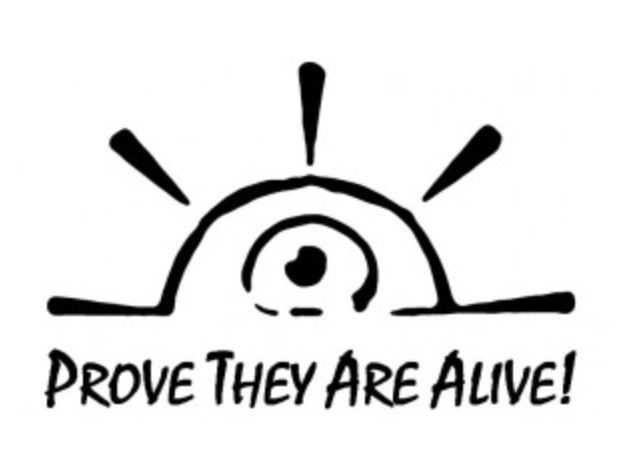 For information on the Prove They Are Alive! 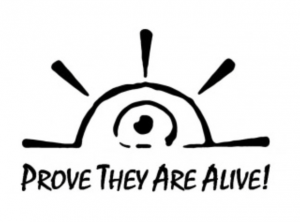 campaign, please visit the website: http://provetheyarealive.org/. For the Concluding observations of the UN Human Rights Committee on the second periodic report of Turkmenistan on the International Covenant on Civil and Political Rights (March 2017) see this link; the Concluding Observations of the UN Committee Against Torture on the second periodic report of Turkmenistan on the UN Convention Against Torture (December 2016) can be found here; for the Decision on Boris Shikhmuradov see this link. For the statement of the Delegation of Turkmenistan at the OSCE Human Dimension Implementation Meeting of 2016, see this link: https://www.youtube.com/watch?v=8CYdqP90yEc&list=PL8DHbLgTnz1taXQy0K65yTP4KYdkgyq75&index=17&ab_channel=TheOrganizationforSecurityandCo-operationinEurope(OSCE). The statement by the representative of Turkmenistan starts at 1h 38’27”. Disappeared are mentioned starting from 1h 41’40”. For the 2014 Baku Declaration of the OSCE Parliamentary Assembly see this link: http://www.oscepa.org/meetings/annual-sessions/2014-baku-annual-session/2014-baku-final-declaration/1838-05 (Paragraphs 108, 125 and 134). The Moscow Mechanism report of 2003 (the Décaux Report) can be found here http://www.osce.org/files/documents/0/5/18372.pdf. For the Criminal Code of Turkmenistan (in Russian, with comments by the OSCE) see this link: http://www.osce.org/ashgabat/117368.